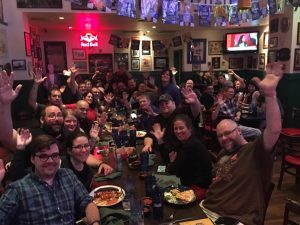 The 2016 Cis­co Live con­ven­tion has just wrapped up, and I felt I should write a post-con­ven­tion arti­cle as my own cathar­tic way of send­ing it out with a bow on top. It’s tak­en me a few days to gath­er my thoughts this time, as the con­ven­tion was held in Las Vegas. While the adage that what hap­pens in Vegas stays in Vegas may or may not be true, the hang­overs and weari­ness cer­tain­ly fol­low you home, and cer­tain­ly slow down the writ­ing. This year, the con­fer­ence was held inside the Man­dalay Bay Con­ven­tion Cen­ter, and though the con­ven­tion cen­ter is huge, we man­aged to fill it. In fact, as is the way every year, there are increas­ing num­bers of peo­ple attend­ing, with this year hit­ting around the 30,000 mark. Believe me, you could feel the crush of peo­ple. Walk­ing in and out of keynotes, head­ing to lunch, and a few oth­er times, it seemed like 5pm on the free­ways in Los Angeles—as in, can’t get there from here. The staff at Cis­co, and the staff at Man­dalay Bay are very pro­fes­sion­al, so while the num­bers of peo­ple may have been pro­hib­i­tive at first blush, every­thing worked well, and we all were able to get where we were going, even­tu­al­ly. I do won­der what the aver­age par­ty­go­er in Vegas thought being con­stant­ly sur­round­ed by mas­sive amounts of peo­ple wear­ing badges with vary­ing lev­els of flair—most like­ly very bemused. On anoth­er note, I have to say that the check-in process this year was by far the best I have expe­ri­enced at any con­ven­tion I have been to. While my case is no doubt an anom­aly due to check­ing in at an odd time, I was very hap­py that the entire process took less than 5 min­utes. Because Cis­co moved to a pre-reg­is­tra­tion set­up, where you checked in ahead of time and received a QR code, the process was sig­nif­i­cant­ly sped up. I walked up to the front, they scanned the code from my email, ver­i­fied iden­ti­ty, and hand­ed me my badge. Every­one I spoke to dur­ing the week had a sim­i­lar expe­ri­ence, and agreed that reg­is­tra­tion this year was stel­lar. I can­not com­ment on any of the ses­sions direct­ly, as I did not attend any, though anec­do­tal­ly I heard that they were as impres­sive and insight­ful as always. I came on a social pass this year, pri­mar­i­ly because I had so many com­mit­ments that I knew I would like­ly not have time for any ses­sions. Cis­co brings out their best speak­ers, sub­ject mat­ter experts, and cus­tomers every year, and this year was no dif­fer­ent. There were many pan­els on a range of sub­jects, short two-hour ses­sions focus­ing on a giv­en tech­nol­o­gy or prod­uct, and half or full day “tech­to­ri­als” where a very gran­u­lar, large­ly hands-on, sub­ject was explored. This year also saw the return of the very pop­u­lar “hackathon,” which draws teams of pro­gram­mers into the con­ven­tion early—it begins on Saturday—for a 24-hour con­test of cod­ing chops. The con­tes­tants are giv­en a sub­ject (this year it was on pre­vent­ing the declin­ing bee pop­u­la­tion,) and told to con­tribute their best solu­tion to the prob­lem. The win­ners receive a mon­e­tary prize, and their solu­tion is dis­played for atten­dees to view. This event con­tin­ues to grow, and with the move­ment of soft­ware cod­ing into the realm of net­work engi­neer­ing, I am con­fi­dent it will grow even big­ger next year. 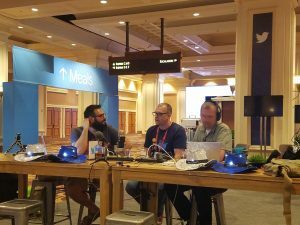 There are always a lot of ancil­lary events at the con­fer­ence, and as a Tech Field Day del­e­gate, I am priv­i­leged to have been involved with the Tech Field Day Extra events this year. This is always a great place to see new­ly announced and emerg­ing tech­nolo­gies, ask a lot of ques­tions, and report back out to the com­mu­ni­ty at large. 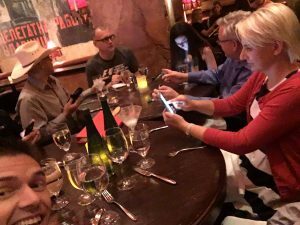 It is some­thing I am always grate­ful to be a part of, and it pro­vides a valu­able ser­vice to both the pre­sen­ters and the view­ers of the live stream or record­ed videos. 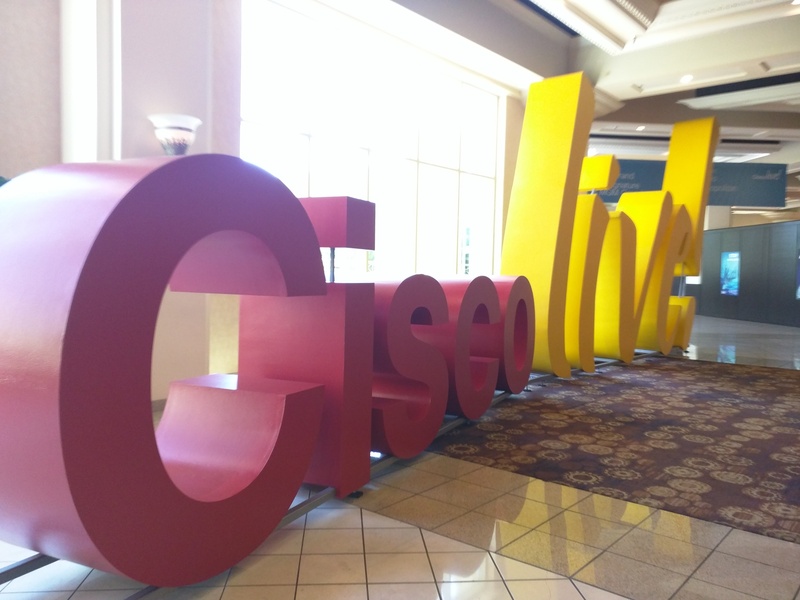 This year we heard from Opengear, Glue Net­works, Veeam, and Cis­co. I will be writ­ing more on that lat­er, so stay tuned for a series of arti­cles recap­ping those pre­sen­ta­tions. Also, check out a friend of mine’s blog on this year’s event, com­plete with pic­tures. She did what I failed to do this year, which is to cap­ture many pic­tures of the event.